Any data-rich channel will continue to win a bigger budget simply because it offers more accurate insights. […] By combining all available channel data you start to get a holistic view of your marketing [and PR] efforts, letting you see the forest for the trees. Click to Tweet! Marketers and PR pros are demanding more in-depth, real-time and dynamic insights to better allocate funds. Communicators want insights that allow them to connect with consumers across the whole lifecycle, including all touch points and channels. Marketers and PR pros still view defending their budgets as a top priority. Data is exploding—and from more and more digital touch points. Meeting those needs requires multi-touch attribution modeling. Multi-touch modeling identifies and analyzes all the touch points along the customer journey. Some introduce people to a brand. Others persuade people to make a purchase or sign up for a newsletter. Most touch points, however, reside in the murky middle. The benefits are compelling, but how do you get started with multi-touch attribution? The answers can be found in learning about existing attribution models, understanding how they work, and then integrating the appropriate ones into your PR measurement program. Let me explain it using a soccer analogy. Multi-touch attribution gives the credit for a goal to not only the scorer but also the players who prepared the goal, too. Soccer player statistics often calculate scores based on the goals and the assists of the players. That means the statistics are based on what could be called a double-touch analysis that takes into account the last touch and the touch before the last one. Attribution models are generally divided into two categories: rules-based and algorithm-based. Seven types are discussed here. The first five are rules-based. The final two are algorithms. Rules-based modeling is the best place to start when you’re new to attribution. It’s relatively simple to do and offers microscopic views of specific programs and/or campaigns. Single-touch attribution is the simplest model of all. Use it to explore last and first touch points. In strictest terms, a last touch is the point responsible for conversion. A person purchases an item or service. They register for a loyalty program. The first touch introduces people to a brand. They see a promoted tweet and click on a link. However, the model’s emphasis on a single point in time is its weakness. With last touch, all the credit goes to the conversion. But it’s rare that a person buys from you after a single interaction. The customer journey has never been that simple, and it’s only gotten more complicated with digital, mobile and social. With first touch, all the credit goes to the tweet. Should it? Probably not. The tweet might be an influential factor in the purchasing decision, but it isn’t the only one. Linear attribution weighs all the touch points evenly, even the ones found in the “murky middle.” While the model offers greater insight into the customer journey than single-touch, it can be problematic. Some touch points are more impactful than others. You know this intuitively, but it’s difficult to prove quantitatively with the linear approach. When my son was smaller he would go to competitions (sports or IQ) and everyone would get a participation certificate. Life, it turns out, is not utopian. When there is a competition, someone gets a gold medal, someone gets a silver, and someone gets a bronze. […] You should not treat your marketing optimization with the same level of outcome optimization that is applied to five-year-olds. Click to Tweet! Perhaps not, but the model does have a benefit: it identifies touch points involved in the customer journey. Use it to develop an overview of efforts and campaigns. A position-based model improves upon the linear one to some degree. Touch points aren’t ranked equally. However, they default to pre-specified weights, usually 40 percent for first and last touches. Whatever’s left is averaged among the others. This model, like the linear one, doesn’t reflect reality. Weight is assigned solely by position rather than interaction. The last touch deserves more credit than the other ones, but it’s unlikely to be exactly equal with the first. But the model does provide greater clarity than linear. Use it to determine which touch points are more effective than others. Time decay is more complex than the previous models. It assigns greater credit to the touch point closest in time to the sale or conversion and “decays” credit to each previous touch point. The model passes the “common sense” test but is somewhat limited by its rules. The decay rate can be tweaked, but much of the refining is subjective. You can hypothetically enter whatever timeframe you like. But where did you get that number? Why did you choose that one versus another? And without the initial touches there would be no conversion. How do you correctly quantify that with a single decay rate? More often than not, the number is pulled out of a hat in hopes it’s the right one. It isn’t based on hard evidence nor does it give great insight into how impactful first touch points really are. A custom model is the best of the rules-based offerings. You begin with an existing model and customize it with brand-specific data. Because of that, it’s the model most able to deliver real insights and impact. A word of warning: this model is complex. Don’t start here. Begin with the simpler approaches. Compare them against each other. When you’re comfortable, build a customized version. It will deliver data and results quicker than a manual comparison of two or three models. All four should be used in conjunction for the greatest impact. Together, they offer a broad, deep picture of how PR influences everything else. Click to Tweet! Algorithmic approaches are almost as numerous as the touch points they track. Here, we consider two of the most common: regression and probability. A regression model determines the relationships between dependent and independent variables. It’s tempting to think of those relationships causally, but be careful doing so. It’s wiser to view them as correlations. If sales increased last quarter, you might be drawn to conclude that the cause was an increase in native video ad spend. Was it? Look at the model. What does it have to say about the ads and other variables in motion? A regression model shows how the variables work together, often over time, and determines their “statistical significance.” It doesn’t identify the what or the cause. Don’t let that deter you from using the model. It’s important to establish relationships. And statistical significance ensures that only the best and most relevant data is mined for in-depth analysis and strategic insights. A probability model won’t predict the future. It isn’t meant to. As Andrew Frank, VP and distinguished analyst at Gartner, says, “[Probability] modeling is all about […] likelihoods based on people’s attributes and behaviors.” Click to Tweet! A probability model weighs the odds and predicts how many consumers will purchase a product or service. Use the information to form a hypothesis, and then test the data. See how altering one input affects the output. Probability modeling can also help forecast ROI. Examine current and historical data to assess not only how many products could be sold but also the best times and places. Do pair probability modeling with regression. Regression gives context and eliminates statistically insignificant variables. For probability to produce better insights, simulations and business forecasts, feed the model the best data possible. You have many, many choices when it comes to multi-touch attribution. It can be overwhelming. Fortunately, we have nine tips to get you started. 1. View data as an asset. Becoming a data-driven PR pro won’t happen overnight. But a large part of becoming one is changing existing perceptions. Data is an asset because of what it can do for you and what you can do with it. Click to Tweet! Adopt the mentality of companies like fitness tracker Jawbone. For it, data is money. Jawbone sells it to customers and business partners. Why not do the same? Turn your data into a literal moneymaker, at least for your department. 2. Audit and clean up data. 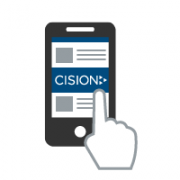 Jeremy Barlow, manager of demand generation at Cision, says companies who have strong data processes and procedures in place will have far more success in reporting and be able to grab actionable insights. Click to Tweet! First, collect all the data from your CRM and marketing automation software, Google Analytics, and any other data centers deemed relevant. Now audit and clean it up. Only then are you ready to start modeling. When it comes to attribution, what you get out is only as good as what is put in. Click to Tweet! Unless you want to audit and clean data every month, establish data processes across the organization. Decentralize data and data-related operations to get the best results. Involve IT. They know what kind of infrastructure is needed to support data capture and multi-touch attribution. They’re also instrumental in developing data management best practices. Skip either step, and measurement will become infinitely harder, if not impossible. “Implementing a strong data infrastructure and maintaining consistent processes is critical to becoming a data-savvy company,” says Barlow. Rome wasn’t built in a day, so don’t fret if you can’t tackle regression and probability modeling just yet. You’ll get there. Start with rules-based approaches. They’re the easiest to use. More importantly, they get you comfortable with thinking critically about data. When you move to more complicated modeling, that mindset will go with you. Comparing models has numerous benefits. One, it verifies findings. Two, it delivers relevant, concrete metrics. Three, it strengthens your analysis abilities and compels ever better questions of the data. Four, it leads to more strategic insights and actions. 6. Develop a comprehensive picture of your PR program. You need to see the trees for the forest and the forest for the trees. In other words, you can’t let a holistic focus make you lose sight of the metrics most important to you. If growing brand awareness in the first quarter is the primary goal, track it. Assess how the goal does by itself and in relation to other variables. What PR efforts have the most impact? What role do variables like customer service, shipment-to-delivery time and seasonality play? These details are important. They help bring the big picture—how and what your brand is doing—into better focus. And knowing how the details of your particular program relate to the whole will lead to stronger internal positioning and better PR. The more you work with data, the more you begin to understand that efforts and brands don’t exist in a vacuum. Other forces are always at work. They need to be accounted for so that strategic insights and actions can take place. Augment internal data with external sources. 8. Consider an external analytics service. The growing number of attribution models can lead you down many a path, none of them exactly right for your brand. Because of that, it may be wise to invest in an analyst, econometrician or external vendor. Gartner's Andrew Frank says many leading companies do just that. They supplement existing staff with consultants and analytics services. They know that successful data capture and measurement doesn’t result from a lone wolf mentality. It takes collaboration. They work with people who know what they’re doing, in this case, people who know multi-touch attribution models inside and out. 9. Constantly improve PR measurement efforts. No attribution model is perfect. The important thing is to test, predict, compare against results, and iteratively improve the approach to get us gradually closer to the Holy Grail: understanding the true impact of our marketing [and PR] efforts. Click to tweet! It’s only by monitoring, analyzing and refining efforts that you’ll get to where you want to be: proving ROI, and making strategic PR and business decisions. Data isn’t the exclusive realm of one department. Everyone needs it. And everyone wants it, including PR. It’s the only way to ensure business success both now and in the future. Click to Tweet! View PR data as an asset because it truly is one. But don’t measure it in isolation. Use multi-touch attribution to explore your PR program’s impact on and alignment with business outcomes. When you do that, you’re making decisions that do more than build brand. They grow the business.